Citizens for Poynette Schools will be selling pro-referendum signs at Pauquette Park in Poynette on Saturday, 9.29.18 between 9am-11am. Yard signs cost $8/each. The 2018 Golf Outing was a success with more teams than usual, great weather, prizes, and lots of fun. 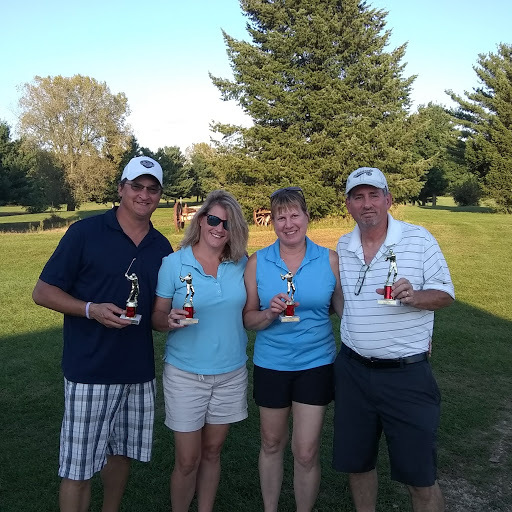 Well done golf committee: (pictured) Paula Woodward, Pat Niglis, Curtis Niglis, (not pictured) Alice Maier, Brit Schoeneberg, Luke Walz. October 5th is Poynette Pink Out Day in honor of Breast Cancer Awareness. Join us for this community-wide event.